We’re always looking for qualified people to join our team at one of our many dealerships in Connecticut. 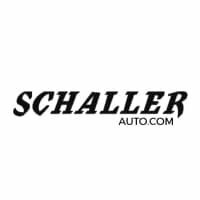 Welcome to Schaller Auto Group, a large set of dealerships offering a vast selection of vehicles and services to drivers in Middletown, Newington, Berlin, Cromwell, West Hartford, and Bristol. At our dealerships, you’ll find new vehicles from respected brands like Honda, Mitsubishi, Subaru, and Acura, as well as hand-selected pre-owned vehicles that are affordable and dependable. When you’re looking for a dealership that can get you the dependable sedan, off-road ready wagon or SUV, high-performance pickup truck, or sports coupe you need, you can count on Schaller Auto Group. It doesn’t stop there, though. We want to make sure all our customers can drive home happy, which is why we offer competitive pricing and low APR financing with easy credit approvals. Apply for financing online and then stop in for a test drive. We know that our customers are looking for more than just someone to sell them a car. That’s why we offer top-of-the-line services to help you keep your car great condition. We have a Kar Kare center for everything from basic cleaning to full-service detailing, an auto body shop where you can come for all your cosmetic repairs, an all brand service department for maintenance and repairs, and even Schaller Insurance for quick, easy, and high quality auto insurance. Count on Schaller Auto Group for all your auto needs. We invite you stop into any of our dealerships for a tour, test drive, or just to find out more. You can always contact our staff if you have any questions as well. Here at Schaller Auto World, your New Britain automotive headquarters, we go the extra mile to earn your business. The courteous and honest sales staff at each Schaller Auto World dealership understands the needs of our customers. We not only look to provide the right Honda, Mitsubishi, Subaru and Acura for your needs, but at a price that you will love. With our outstanding selection and competitive pricing, you’ll see why so many drivers have made Schaller Auto World their New Britain Automotive headquarters. Serving New Britain Hartford, Bristol and Manchester.